Would you love to support a Poor Girl Child for her Cleft Surgery ? 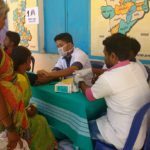 Trinity Care Foundation plans to provide free surgeries for Cleft children who hail from the poorest sections of society in India, also providing the children with speech therapy and further treatments. Your donation helps to provide free reconstructive surgeries and emotional counseling to support these children and their families. Trinity Care Foundation plans to provide free cleft surgeries to 81 Poor Cleft Children in India from funds raised from the Crowd-fundraiser ! Kindly support our cause before 31.March.2018 by donating and sharing our fundraiser !